From the commencement of the formal administration of Aboriginal Affairs, education has played a central role in the life of the Aboriginal community. The decision-makers of the past used education as a tool for assimilation. After the initial contact period, assimilation became the overriding policy. It was to be implemented through special schooling. Schooling was the means by which they separated the children from their heritage. In the first schools established for Aboriginal children, the teachers were non-Aboriginal, thus severing the tie between the children and the traditional teachers. This displacement of the traditional teachers separated the children from their heritage. The children lost contact not only with the content of the knowledge of the old ways but all the practices associated with the inculcation and acquisition of that knowledge. They lost contact with the long established philosophy that provided a framework for the traditional education. Traditional education was purposeful; traditional education was goal oriented; traditional education was achievement oriented. Education in the Aboriginal life-way, for all children was designed to enable them to become participating and contributing members of the family and the clan. 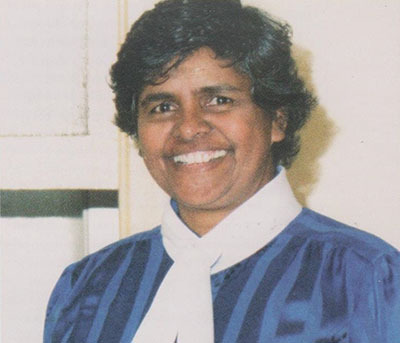 Dr Margaret Valadian was the first recognised Aboriginal Australian woman to graduate from the University of Queensland with a bachelor of Social Studies. Margaret went on to complete a Masters of Education, University of Hawaii and a master of Social Welfare, State University of New York whilst back in Australia she was awarded an honourary degree of Doctor of letters from Macquarie University. Margaret was the chair for the Aboriginal Arts Committee, Director of the Aboriginal Education Centre, University of Woolongong and the founder and co-director of Aboriginal Training and Cultural Institute (Sydney). In recognition for her for services to the Aboriginal Community Margaret Valadian was appointed a Civil Member of the Order of the British Empire on 12 June 1976 and an Officer of the Order of Australia (AO) on 26 January 1986.